When talking about the dominance of Hakeem Olajuwon, people will always bring up mid-90s Hakeem “The Dream” from the Clutch City era. Not me. My favorite Hakeem was the H-less Akeem — the mean triple-double threat of the 80s up until the days where he became a front office nightmare and was, believe it or not, put on the trading block. That’s right, before the rings, Houston had a problem with The Dream and some in the organization even accused him of faking an injury (I can’t publically share the details of that very hilarious story but I’ll tell you in person). During the era I’m raving about, Hakeem would have been the #1 roto fantasy player every season with his ability to put up 10 of any and everything in the boxscore or go for 20 and 20 on any given night. 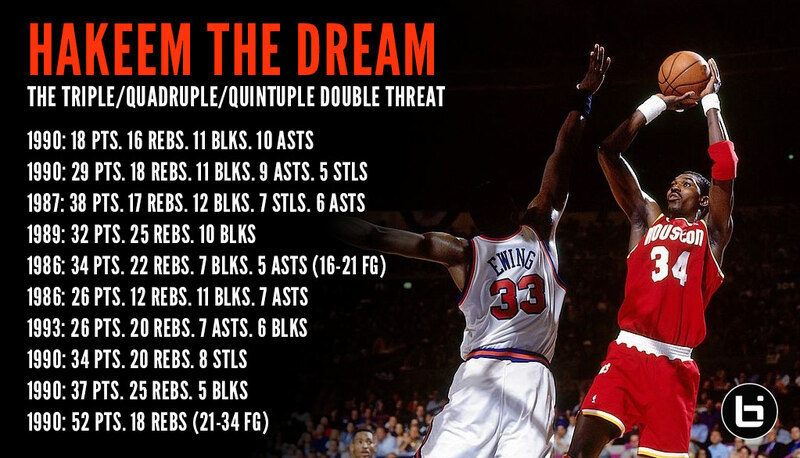 Hakeem is one of only four players to ever record a quadruple-double and he actually had another quadruple-double in the same month. In March of 1990, the league accused the Rockets of stat padding and took away an assist, leaving him with ONLY 29 points, 18 rebounds, 11 blocks and 9 assists in a game. Later that month, he gave the league a middle finger by putting up 18 points, 16 rebounds, 11 blocks and 10 assists against the Bucks. 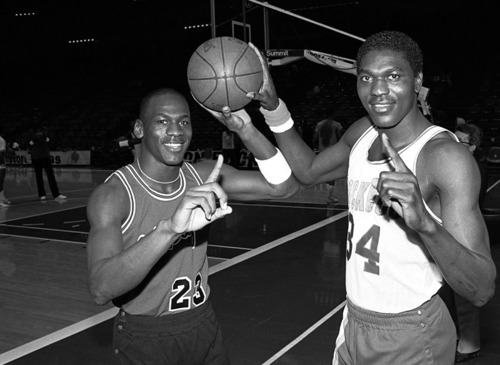 If those two games weren’t amazing enough, Hakeem also put together the closest thing to a quintuple-double in 1987, when he had 38 points, 17 rebounds, 12 blocks, 7 steals and 6 assist in a single game. In 1989, he was one rebound shy of pulling off a 40/25 game and in that same season, he also had a rare 30/20/10 with 32 points, 25 rebounds and 10 blocks — the only 25/25 game and triple double! For all the fantasy freaks out there, I know you are probably trying to calculate how many points these games would be worth in your league. What also made Hakeem’s triple-doubles so impressive is they weren’t “squeakers” achieved in the final seconds — remember Anthony Bowie in Orlando — or attempted in desperation at the end like Andray Blatche or Ricky Davis. These are hearty triple-doubles like the ones mentioned above and the following. What hasn’t been mentioned outside of his quadruple game is where Hakeem stands in the steals department. How about 8th all-time? That’s ahead of Alvin Robertson, Allen Iverson, Kobe Bryant, Isiah Thomas and Magic Johnson! 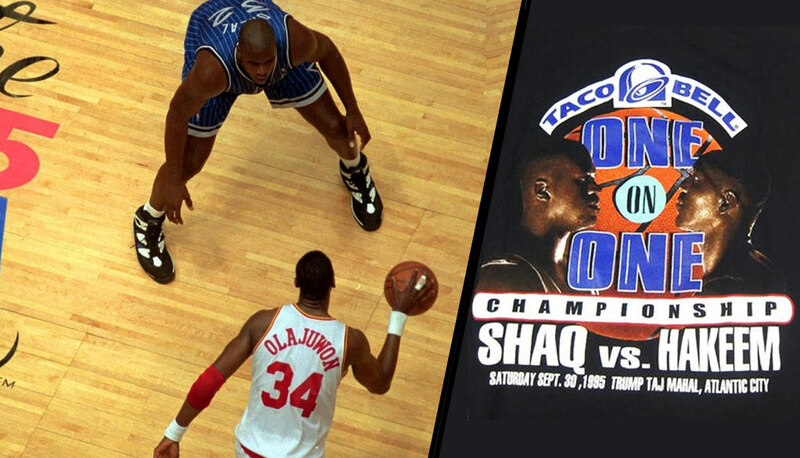 There used to be a conspiracy that Hakeem was getting credited for a block and a steal on the same play by blocking a shot and then grabbing possession of the ball. I’m sure it’s happened a few times, but unlikely 2,162 times, which is also approximately the number of players Hakeem has embarrassed during his GOAT worthy career. Here are my favorite moments from this night in 2016. Watching a 53-year-old Hakeem casually drain 10 threes in a row while chatting with fans. Hearing him tell Robert Horry the 7 x NBA Champion belongs in the Hall of Fame. Shaq and Kobe also agree with me and Hakeem.